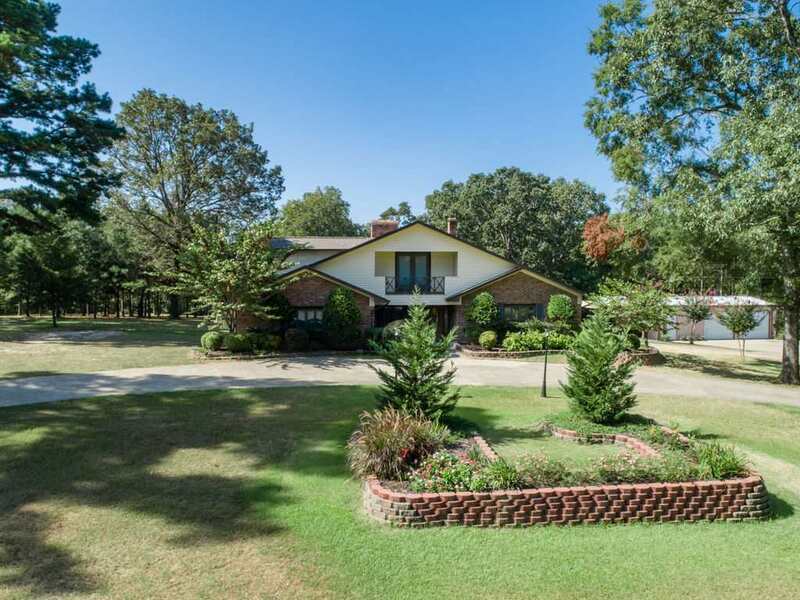 This beautiful home is on 15.6 acres with a large area of planted pine and 960 sq. ft metal shop. Most of the home has hardwood floors and oak and hickory custom trim. Three living areas-den with knotty pine bookcases, living room with large wood burning fireplace, and sun room with ceramic tile floor There is also an office which could be a 4th bedroom. Kitchen has stainless appliances and quartz counter tops. Master is down stairs and features a huge walk in closet, jetted tub, and a very large walk in shower. The pool area has a new wooden deck that is partially covered and lovely landscaping. There is also an inviting pond on the property and an RV shed. This is a MUST SEE!! !